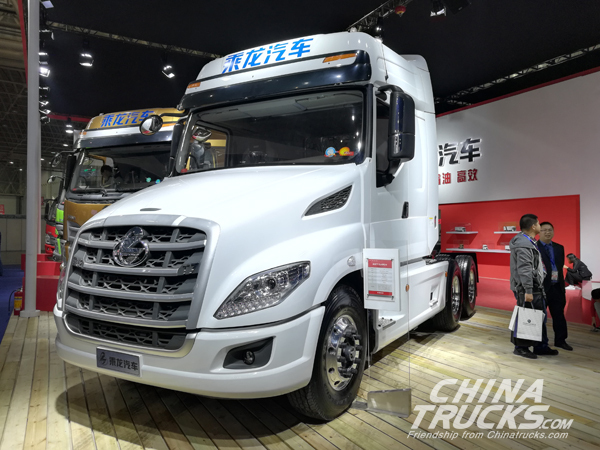 At 2017 China International Commercial Vehicle Exhibition held in Wuhan, Chenglong brought a whole series of its products on display, including Chenglong H5. 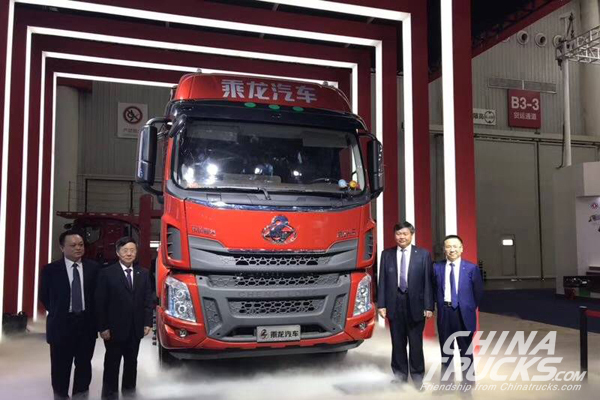 Chenglong H5 6x4 truck is a new rising star in China’s truck market. With a lighter body weight, the vehicle achieves higher fuel economy, better power performances, a higher level of intelligence, and higher safety standards. In addition, it brings more comforts for drivers. With great versatility, it can be widely used by goods distribution, dangerous chemical transportation, etc. Chenglong H5 mid axle sedan car transportation truck is another eye-catcher. Measuring 22 meters in length, the vehicle is equipped with a 4x2 chassis and can load eight SUVs at most. Chenglong T7 has a streamlined body and a fashionable look. Moreover, it delivers impressively powerful performances. Built on the success of Chenglong H7 6x4, Chenglong H7 6x2R has further cut its body weight and improved its fuel economy.